The new track from Armin van Buuren, ‘We Are Here To Make Some Noise’, is now the official theme in the 2012 UEFA European Football Championship campaign of Dutch radio station Radio 538. The single was released on Armada Music today and will be featured in commercials of Radio 538. Incidentally, it’s not the first time that the Dutch DJ/producer has made a football anthem. 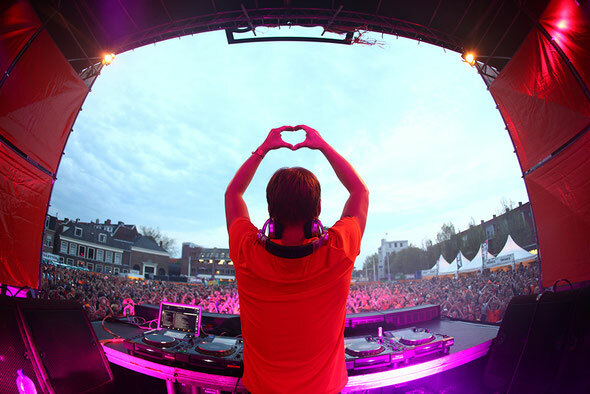 In 2007, his track ‘Rush Hour’ was the official theme song for the UEFA European Youth Championship and in 2010, Armin played at the Museumplein in Amsterdam in July, during the honouring of the Dutch football team. Even though the national team came second in the World Cup, they team and the 200,000 crowd partied hard to this tune and many more from Armin.